Wild Turkey 80-proof Bourbon, as well as its replacements, WT 81 and WT KSBW, aren’t whiskeys I typically reach for. While modern Wild Turkey 81-proof KSBW works fine as a mixer, it lacks the strength and depth needed for an ideal neat or rocks pour (though I’d assert it’s notably better than its competitor, Jim Beam White Label). Has it always been that way? Well, yes and no. I’ve reviewed lower-proof Wild Turkey expressions before – 1984 WT 86.8-proof and 1991 WT 80-proof come to mind. While not as amazing as their 101 siblings, they’re both wonderful examples of dusty bourbon and the undeniable quality of glut era whiskey. But even with the dusty qualities those two carry, it would be hard to argue either bourbons as intense or layered with complexity from nose to finish. I get a lot of questions regarding 80-proof Wild Turkey KSBW from the “bird in profile” label era (1999-2011). It’s a frequent retail find, as bottles of 101 are usually the first to sell. But just like WT 101, that particular label ran for nearly 12 years. There are many variables to consider with such a long production stretch. As you’ll discover in my 101 reviews from that period, the profiles range from borderline dusty to somewhat modern. While I’m not as experienced with as many 80-proof offerings, I’d imagine 80 has a similar pattern to 101 but with less quality (primarily because of dilution and immaturity). 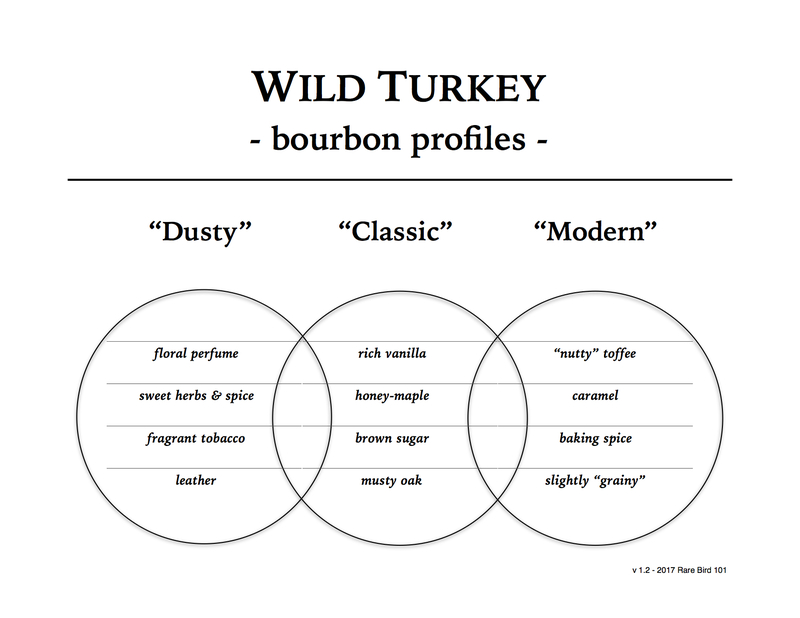 From my experience with Wild Turkey 101, when you examine years prior to 2007 the profile starts developing some dusty qualities. By the time you hit 2001 and earlier, you have something very close in nature to mid/late period WT Old No. 8. So with that logic, and based on my review of 1991 WT 80-proof, I’d propose that the earlier the WT 80-proof bottle, the more likely you’ll have a quality pour. But I can hypothesize all day. At this point the only way to know for sure is by tasting. Overall: This is very similar to the ‘91 Wild Turkey 80-proof KSBW I reviewed this past April. The nose is by far the highlight of this whiskey – almost worth the price of admission on its own. Unfortunately, the taste and finish, while still enjoyable, fail to live up to the quality of the nose. That said, if you can find this bourbon for a reasonable price, by all means buy it. You probably won’t find it on a retail shelf, but I do see these up for auction on occasion. It’s certainly worth investigating if you’re in the market for dusty Turkey. Overall: I’m honestly quite surprised with this one. While not as complex as the ‘92 Wild Turkey 80-proof, this ‘05 is certainly more complex than I expected – especially on the nose. However, as with the ‘92, when this whiskey hits the palate things really start to flatten out. It’s enjoyable whiskey, but unfortunately not as enjoyable as WT 101 from the same year. If you happen to find a mid-2000’s WT 80-proof KSBW on a retail shelf, I’d recommend buying it. But outside of retail, I don’t think I’d spend too much energy chasing one. In summary: This was a fun and educational comparison – so much so that I’ll probably do it again (next time with some different years in the mix). Each of these two whiskeys met or exceeded my expectations, and that’s really about the best it’s going to get with lower-proof NAS Wild Turkey expressions. Should you ever find yourself with the opportunity to acquire an older label bottle, it’s something worth considering. Just don’t forget – there’s always excellent modern Wild Turkey expressions readily available at your trusty local!